A chance encounter with Theodore Camden, one of the architects of the grand New York apartment house the Dakota, leads to a job offer for Sara Smythe, no mean feat for a servant in 1884. She has the opportunity to see more of Theo, who understands Sara like no one else. One hundred years later, Bailey Camden is desperate for new opportunities: Fresh out of rehab, she is homeless, jobless, and penniless. Bailey won’t see a dime of the Camden family’s substantial estate; instead, her “cousin” Melinda will inherit almost everything. When Melinda offers to let Bailey oversee the renovation of her lavish Dakota apartment, she jumps at the chance. 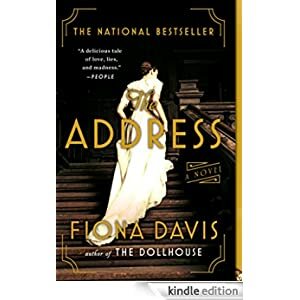 But a building with a history as rich, and often as tragic, as the Dakota’s can’t hold its secrets forever, and what Bailey discovers inside could turn everything she thought she knew about Theodore Camden—and the woman who killed him—on its head. Buy this novel today for only $2.99.